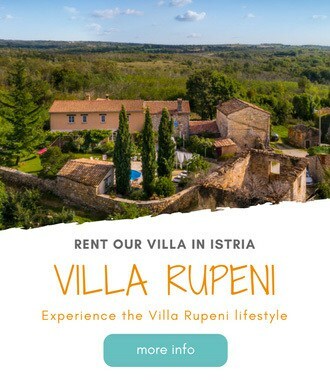 While entire Istria, due to its shape, is easily reachable by car and well connected, Rabac for some reason seems always too far from anywhere. But nothing can get us move better than the good food can. 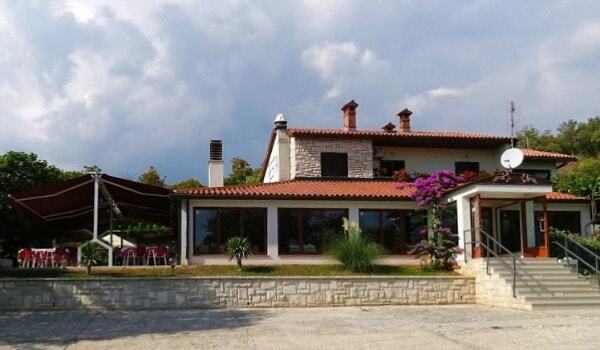 And Rabac region doesn't lack in good restaurants. While we don't really have any restaurant to recommend to you in downtown Rabac (except that Valamar hotels really offer great buffet dinner in a price of a room if that's your thing), we've got plenty of great restaurants to recommend in the vicinity of Rabac. Believe me Martin Pescador could serve stones, and it would still come high on my list of the best restaurants in Istria. Fortunately, this restaurant also serves excellent, fresh local seafood. Martin Pescador has the best seafront terrace in Istria, while still keeping that casual, unpretentious look and feel. And to my knowledge there isn't another place to compare with Martin Pescador. We simply love it, and eat here whenever possible. Here is our full review on Martin Pescador, if you are interested in further reading. This restaurant is our latest discovery. Sure, the restaurant has been in Plomin Luka for over fifteen years, it's just that we haven't tried it out until recently. While the location of the restaurant is unexciting, the food and service is impeccable. Riva is an elegant, upscale restaurant with great seafood. Read our full review of the restaurant Riva. Due Fratelli is perhaps the most popular restaurant in this part of Istria. Owners have their own fishing boats, so the quality of seafood is guaranteed. Due Fratelli also offers meat dishes. Their grilled meat is specially good. For a traditional Istrian food, head for Plomin, a medieval town perched on a hill above the sea. Restaurant Dorina offers traditional Istrian dishes with a modern twist. Istrian beef prepared at Dorina is excellent, as well as seafood and homemade pasta with a great variety of sauces. At Dorina, the queen of Istrian cuisine, a black truffle, is highlighted through many dishes. Velo Kafe is located at Labin's main square, at the entrance to the old town, and at the intersection of many roads leading in and out of Labin (this makes it a great place to observe Labin hectic traffic and local life!). Velo is a large cafe, and restaurant with two outdoor terraces, and its interior spreads on three floors. At Velo the menu is extensive and it offers a bit of everything, from pasta and gnocchi dishes to fish, meat and even fancy ingredients like truffles. Cafe offers a great selection of coffees, teas, and other beverages as well as cakes and great ice cream. They even have a vegan ice cream! Have you been in Rabac? Would you recommend any other restaurant in and around Rabac? Let us know in the comments below.